Both supporters and opponents liken Supreme Court nominee Neil Gorsuch to Justice Antonin Scalia, so this guide uses Justice Scalia’s votes to explore the kinds of judicial decisions Gorsuch might make. Scalia cast a deciding 5th vote in numerous earlier decisions, and since his death, the Court has frequently been split between four justices nominated by Democrats and four nominated by Republicans. At 49, Gorsuch is the youngest nominee since Clarence Thomas and could serve even longer than Scalia’s 29-year tenure—one more reminder of how much elections can matter. 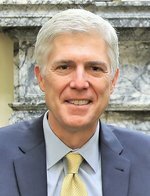 Gorsuch’s nomination is contentious, from the perspective of his opponents, because of his positions and age, and because when Obama nominated Merrick Garland with nearly one year remaining in Obama’s term, the Republican Senate leadership took the basically unprecedented step of failing to give him a hearing. Now, Democrats are considering both voting against Gorsuch and commencing a filibuster that would require either 60 votes to end or a radical change in longstanding Senate rules (though Democrats eased the rules for Federal Appeals Court and District Court judges in 2013). With Justice Ruth Bader Ginsburg currently 83, Justice Anthony Kennedy 80, and Justice Stephen Breyer 78, President Trump is likely to nominate several more justices, and responses to Gorsuch’s nomination may set the tone. If you believe strongly about the importance of this Supreme Court appointment, contact your Senator here to express your support or opposition.